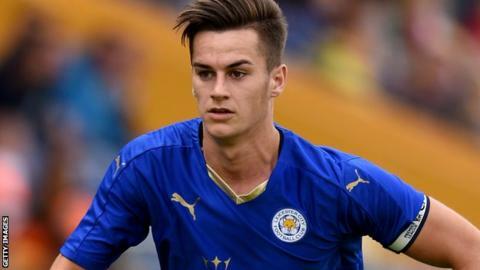 Blackburn Rovers have signed forward Tom Lawrence on loan from Premier League side Leicester until 3 January. The Wales Under-21 international made four appearances during his first season and also spent a month in the Championship on loan at Rotherham. "I knew there was interest but it has all happened so quickly," he told the club website. "I'm just happy that is all done." Lawrence, who is Blackburn's seventh new signing this summer, is available for Rovers' Championship game at Brighton on Saturday.